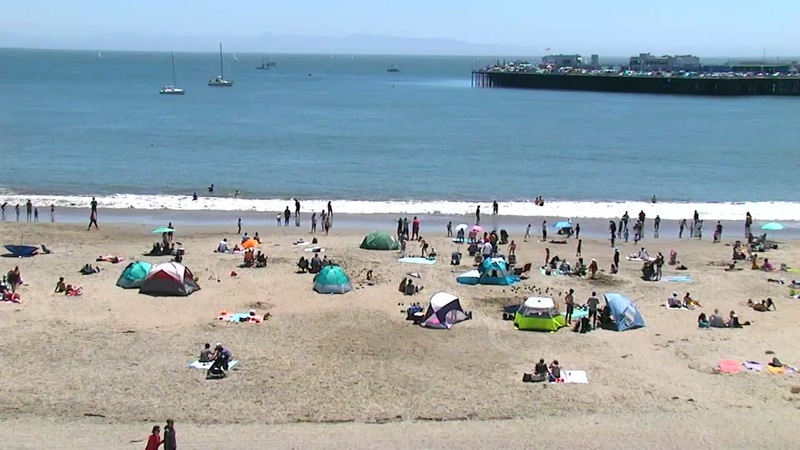 SAN FRANCISCO (KGO) -- It suddenly feels like summer across the Bay Area as we enter the first week of May. Napa set a new record Tuesday at 94 degrees and Richmond set a new record at 87 degrees. Click here for a look at the full forecast. Highs across the region Tuesday were anywhere from 10 to 20 degrees above average for this time of the year. This graphic shows temperatures in the Bay Area. Looking ahead into Wednesday, the heat is sticking around and we will be on watch for more records to be broken. You can see many cities will be within a degree or two of their records. This graphic shows Wednesday heat records for several Bay Area cities. Along with the heat, our air quality will be declining, especially Inland. Poor air quality is forecasted there. A Spare the Air day has been issued for Wednesday. If you can, take public transit, carpool bike or walk to cut down on the pollutants in the air. This graphic shows air quality for Wednesday, May 2, 2017. Not a fan of this hot spell of weather? Friday is your day. Take a look at how sharply temperatures will drop from Wednesday into Friday. Most cities will drop 15 to 20 degrees to round out the week. A little something for everybody! This graphic shows temperature differences in the Bay Area.